1. The Annunciation Mary learns that she has been chosen to be the Mother of Jesus. 2. The Visitation Mary visits Elizabeth, who tells her that she will always be remembered. 3. The Nativity Jesus is born in a stable in Bethlehem. 4. The Presentation Mary and Joseph take the infant Jesus to the Temple to present Him to God. 5. The Finding of Jesus in the Temple Jesus is found in the Temple discussing his faith with the teachers. 1. The Baptism of Jesus In the River Jordan God proclaims that Jesus is His beloved Son. 2. The Wedding Feast at Cana At Mary’s request, Jesus performs His first miracle. 3. The Proclamation of the Kingdom of God Jesus calls all to conversion and service to the Kingdom. 4. The Transfiguration of Jesus Jesus is revealed in glory to Peter, James, and John. 5. The Institution of the Eucharist Jesus offers His Body and Blood at the Last Supper. 1. The Agony in the Garden Jesus prays in the Garden of Gethsemane on the night before He dies. 2. The Scourging at the Pillar Jesus is lashed with whips. 3. The Crowning With Thorns Jesus is mocked and crowned with thorns. 4. The Carrying of the Cross Jesus carries the Cross that will be used to crucify Him. 5. The Crucifixion Jesus is nailed to the cross and dies. 1. The Resurrection God the Father raises Jesus from the dead. 2. The Ascension Jesus returns to His Father in Heaven. 3. The Coming of the Holy Spirit The Holy Spirit comes to bring new life to the disciples. 4. The Assumption of Mary At the end of her life on earth, Mary is taken body and soul into heaven. 5. The Coronation of Mary Mary is crowned as Queen of Heaven and Earth. 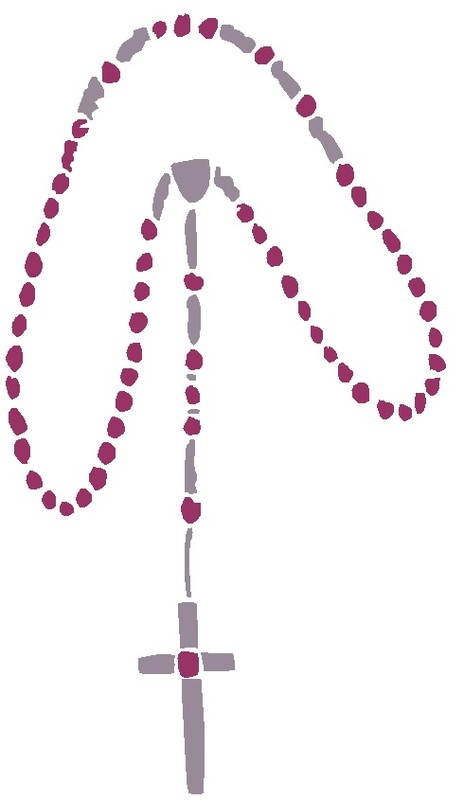 1 Glory Be (before the next large bead) to make a complete decade (one individual Mystery) of the Rosary. Repeat these prayers for all five decades (one set of 5 individual Mysteries) of the Rosary. When the events begin, all will see how the modern world is so vulnerable. All of their systems are interconnected, with a great dependency on one another. To touch and destroy one part leads easily to destroying another. Such is the interdependency of the modern world. But, some aspects I have guarded. I have kept them in great simplicity. I have led people to make decisions in truth. They have not shared in the great wealth that has flowed from this new interdependency. So, they will not feel all the effects of the events. They will be safeguarded. Safeguarded also will be those who listen to me and act now. Some steps can easily be taken. They are right at hand. Begin now. I will build a different interdependency. Faith and love must be the chains that bind you together, the common ground which everyone can hold on to. 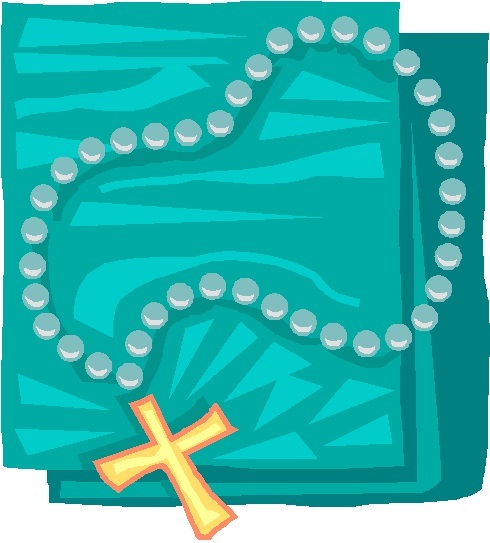 First, the rosary must be prayed with husband and wife and within the family. This practice, which has been set aside, must quickly be taken up again before it is too late. Second, let the rosary expand. Let families and individuals gather often to recite the rosary. From this small beginning, the foundation will be placed for greater sharing and interdependence. 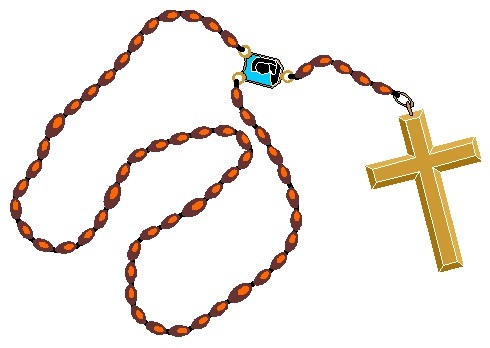 The rosary breaks down the sinful powers in each person and leads to openness and trust. Community can be built. This is the goal before the events happen. O reader, do not remain isolated. Yet, how do you begin to meet and to trust others. The rosary will be the chain of unity. My child, always keep focused on my Son for He needs your attention. You must place all your trust in Him and never let anyone take your eyes off Him. He, my child, has chosen you as one of the important messengers for these times so that lost souls are saved. Tell people to pray my Most Holy Rosary, even non-Catholics, for this is the greatest weapon against the influence of the deceiver, who groans in pain when it is said. His power is weakened when my children say this prayer. The more my children pray the Holy Rosary the more souls can be saved. You, my child, have a very difficult Mission, much harder than any of the prophets in history. This is because of the darkness of spirit in the world. Never before has such a darkness descended, when My children turn their back on my Son, He Who died a terrible death to save them. Yet they have not only forgotten this, but choose to deny His very Existence. Prayer to me, your Blessed Mother, hurts the evil one, who cringes and loses his power when my Rosary is recited. This is the weapon that has been given to me so I can help save lost souls, before I crush the serpent’s head, finally. Never underestimate the power of the Rosary, for even just one group of people dedicated to the regular devotion of my Holy Rosary can save their nation. Tell my children to be careful when turning their back on prayer, for when they do this they are leaving themselves wide open for the deceiver to ensnare them by his charming, but dangerous path to darkness. Bring my children into the Light by spreading devotion to my Most Holy Rosary. During my Son’s Mission on Earth, He was betrayed in so many ways. They waited in villages for Him, with stones in their hands. When He walked by, with hundreds following Him, they hurled these stones at Him from behind shelters, so that no one would know who they were. They hated Him; reported Him to the Church authorities; spread wicked lies about Him and said He spoke with an evil tongue and blasphemed against God. Yet, not one of them could explain exactly how He was guilty of such things. They then spent much time urging His disciples to deny Him. Many of them did. Then, the Pharisees warned all those who worshiped in the temples that, should they continue to follow my Son, they would never be allowed inside the House of God again. And many of them stopped following my Son. These same souls cried bitter and sorrowful tears after my Son was crucified, for it was only then that they realized how they had wronged Him. My dear child, I am your Mother, the Queen of Heaven. I shower all you who call on me to intercede on your behalf, to ask my Son to protect you, with special graces. All of Heaven prays for humanity at this time, so that the transition into the new world without end, will be smooth. It is my Son’s greatest desire to reach into the hearts of every sinner. To pull back the cobwebs of confusion, which covers their souls. To draw, even those with hearts of stone, into His Great Mercy. My Son never gives up in his quest to touch the hearts of everyone. He never seeks revenge on those who offend Him and He never favours one soul over another. He loves everyone, even His greatest enemies, and this will always be the case. You must not shun my Son if you have suffered in this life; if you have lost a loved one in tragic circumstances; or if you are the victim of terrible injustices. God is the Author of Life. He gives it and he takes it away. It is only when a soul, filled with evil spirits, murders another that God will make that soul pay dearly. As long as sin exists, evil will remain on earth. It will only be when sin is banished will evil dissipate. Children, I ask you to be patient. I ask that you spend your time in prayer as much as you can. I ask that you continue to recite the Most Holy Rosary for the protection of your families, your nations and your countries. Never before will my Rosary be so powerful as it is in these times, and you will receive great graces when you recite it, especially aloud, and in groups. All of God’s Plans are in place for the Second Coming of Jesus Christ. I ask that, through your prayers, you will help prepare the way for all sinners to seek repentance, so that they will enjoy everlasting life in the world to come, which is without end. Blessed are those who will be given the keys of Paradise. My Son abhors any kind of hatred shown by man for his brother. He sheds tears when anyone, who says that he represents my Son’s Church, and then incites hatred against a child of God. He suffers the pain of His Crucifixion every time a servant in His Church hurts another or causes terrible suffering to innocents.